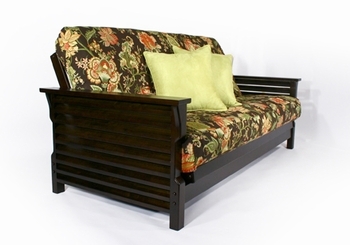 The Plantation frame is part of our Carriage Collection and made from our quality imported hardwood. 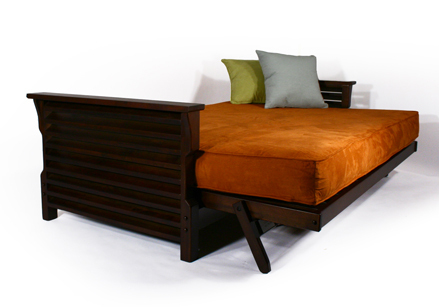 This frame, of course utilizes our Wall Hugger™ technology and comes in two finishes: Dark Cherry or Black Walnut. The Plantation features slightly-slanted horizontal slats that resemble traditional window shutters, and is charmingly accented by the curved cut on the legs.